The Pollock-Krasner House and Study Center in East Hampton preserves the house and studio that Jackson Pollock and Lee Krasner moved into in 1945. Part museum and library, it promotes the study and interpretation of modern art in America, particuarly on the East End of Long Island. Compiled as a labor of love by Gary Comenas, a London-based arts commentator, warholstars is devoted primarily to documenting the life, times and legacy of Andy Warhol. Everything you ever wanted to know about Warhol--and much more! In addition, however, there's an extensive and painstaking chronology of Abstract Expressionism. Comenas has scoured the literature and put together a detailed, well-researched time line of developments in American modernism, the emergence of the New York School, and beyond. 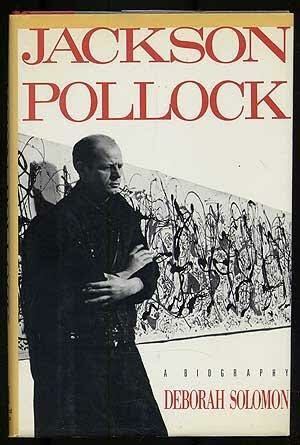 Among his sources are many publications in the Pollock-Krasner Study Center art reference library, including Deborah Solomon, Jackson Pollock: A Biography (NY: Cooper Square Press, 2001), Kirk Varnedoe with Pepe Karmel, Jackson Pollock (NY: The Museum of Modern Art, 1998), and Mark Stevens and Annalyn Swan, de Kooning: An American Master (NY: Alfred A. Knopf, 2006). His bibliography is attached. Jackson Pollock famously used ordinary household paints to create his poured paintings. 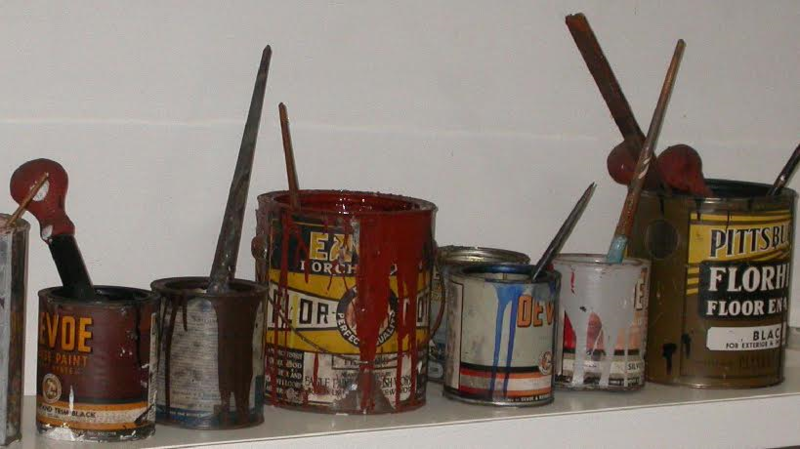 A collection of his materials and applicators--hardened brushes and basting syringes--is on display at the Pollock-Krasner House and Study Center in East Hampton. In 2011, the journal Physics Today discussed the special properties that made liquid house paint so attractive to Pollock. Titles from the Pollock Krasner House Reference Library are available for use in the Stony Brook Southampton Library. The complete list of the Pollock Krasner House and Study Center's Research Library is posted here. Artists and East Hampton : a 100 year perspective by Guild Hall of East Hampton.